China on January 29 unveiled a flurry of measures aimed at spurring sales of items ranging from cars and appliances to information services, as the world’s second-largest economy grows at its slowest pace in nearly 30 years. 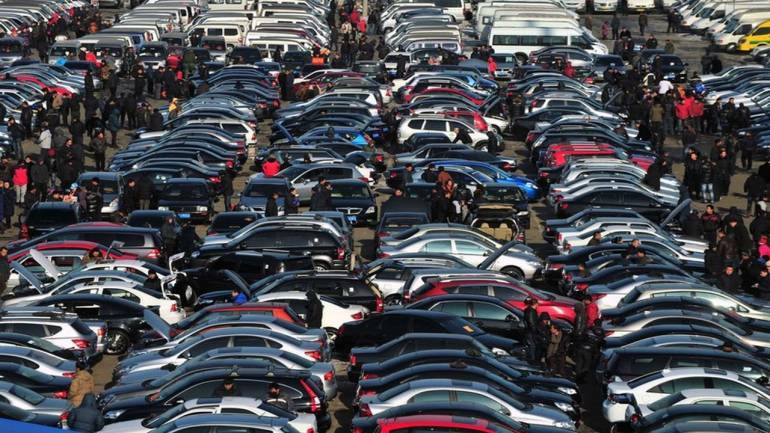 In a statement on its website, the National Development and Reform Commission (NDRC) said restrictions will be loosened on the second-hand auto market, and “appropriate” subsidies will be provided to boost rural sales of some vehicles and purchases of new energy vehicles. The state planner did not give details of the subsidies, which it said that central and regional governments will set. For the first time since the 1990s, auto sales in the world’s biggest car market shrank in 2018, as China grapples with a slowing economy and fallout from trade frictions with the United States. The focus of new measures “is not simply to increase the consumption of large cars, but also to integrate the industrial transformation and upgrading of consumption,” Liu Yunan, an NDRC official, told a news conference. Wang Bin, deputy director of market operations at the Commerce Ministry, said in the long-term auto sales “are still the main factor driving consumption growth”. Miao Wei, minister of industry and information technology, told a separate news conference that in the past, “both substandard and high quality vehicles were sold to consumers, but currently resources will be allocated to high quality companies”. Patrick Yuan, a Hong Kong-based analyst at brokerage Jefferies, said there were signs auto sales have picked up in January, and “through local support policies, new car sales can be promoted to low single-digit growth,” he predicted. Beyond cars, the NDRC also said it would accelerate the launch of commercial licenses for 5G, the next generation wireless technology that promises to link everything from vehicles to household devices at far greater speeds. China has pledged to speed up the commercial use of 5G technology in 2019 and become a manufacturing powerhouse. China will support the sales of green and smart home appliances, the NDRC said, adding regional governments should consider consumer subsidies for such products that would have an obvious impact on driving growth and reducing emission. On January 29 morning, shares of leading appliance makers outperformed the Chinese market, with Gree Electric Appliances up 1.2 percent and Midea Group advancing 0.8 percent. Mounting pressure on China’s economy pushed growth last year to its lowest since 1990, at 6.6 percent, even as Beijing stepped up stimulus measures and pushed banks to lend more. China will step up fiscal spending this year to support its economy, focusing on further cuts in taxes and fees for small firms, finance ministry officials said last week.